Blue dress with a red cape, this customized superhero stands upright with arms akimbo, it looks powerful and confident. Do you have a "superman" in your life? 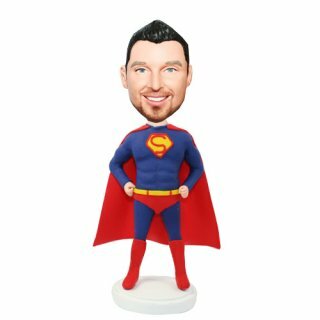 He might be your father, husband or significant others.Why not send him this bobblehead to let him know that he always the superman in your heart.